A wide range of products covered. 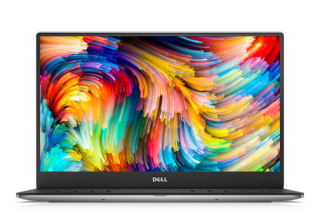 If you're looking to buy a new laptop in the January sales, Dell is running an offer until January 18 which will save you £100. The coupon code PREMIUM will grant you £100 off Inspiron 7000 and Gaming Series laptops, as well as XPS laptops and Alienware PCs when you put it in at checkout. This code covers a wide range of products on the Dell website, and you'll also get free shipping on selected products for the rest of the month too. Dell has a bunch of new laptops and desktops with Intel's brand new Kaby Lake generation of processors included in the deal as well. You probably won't see too many of those discounted elsewhere for a while. Dell's gaming laptops are usually a little pricey and under-powered for our liking, but £100 off brings many of them to a better standing. And if you were looking to buy one anyway, that £100 could go to an upgraded graphics card. If none of Dell's offerings take your fancy, and you're looking for the best laptops money can buy, check out our Best Gaming Laptops buying guide.